I started my professional career as Research Assistant in a project from University of Oxford, London, after completion of my M.Sc Applied Psychology from University of the Punjab, Lahore. Throughout my academic career, I have been securing positions at board at university level including silver medal in matriculation in 1995 and bronze medal in Intermediate in 1997 from BISE, Lahore, Bronze medal in Graduation as well as 6 gold medals in different subject areas in 1999 and Gold Medal in M.Sc from PU in 2001. I did professional degree of B. Ed. in 2003 and worked as school psychologist/teacher from 2003 to 2004 before I was selected by PU in 2004 as lecturer on regular basis. My areas of skills are Applied Statistics in Research, Testing and Measurement, Test Development and Evaluation and Personality and Positive Psychology. I have acted as incharge/controller examination in my institute and member semester/examination committee from 2007 to 2013. I started M.Phil from PU and then got converted into Ph.D in 2012. I topped in M.Phil and Ph.D course work, won HEC Indigenous scholarship and currently am at final stage of thesis write-up. I have successfully completed funded research projects from PU for years 2010, 2011 and 2012. Currently I am also part of two collaborative research projects at international level. I am also ad-hoc reviewer for two international impact factor journals. 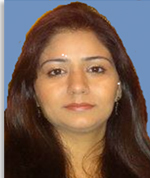 I have presented my work at international conferences and presented at and organized many national level conferences. My research work is published in recognized journals. I am highly motivated to excel and contribute my best to my academia and nation.